As the 2017-2018 awards season rolls on, next up is the BAFTA Film Awards. The British Academy's awards are considered among the most prestigious, perhaps even behind only the Oscars. The nominations have been announced ahead of this year's ceremony in February. 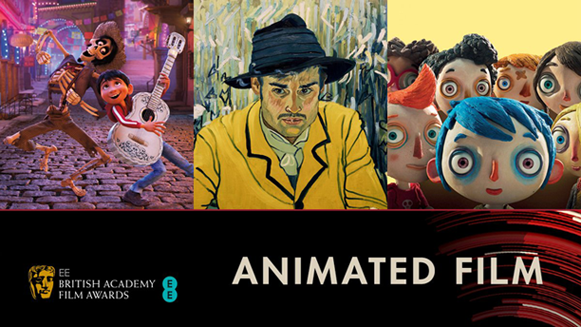 Last year, for the first time since BAFTA established the Animated Feature award in 2006, four films were nominated rather than the usual three. Kubo And The Two Strings pulled off a surprise win against the might of Disney-Pixar, beating out Zootropolis, Moana and Finding Dory. Will we see another surprise this year? This year, it's back to just three nominees. Naturally, Pixar's Coco was one of them (and has to be considered the favourite). The other two are more surprising, however, with Loving Vincent and My Life As A Courgette rounding out the category. Loving Vincent has been this year's surprise success story in the awards race, with this being its 37th nomination so far. My Life As A Courgette (aka My Life As A Zucchini) is surprising but only in that it appeared in most awards ceremonies last year. It's disappointing to see The Breadwinner be overlooked. While its UK release is not until this May, its screening at the London Film Festival in October 2017 would have presumably qualified it for this year. 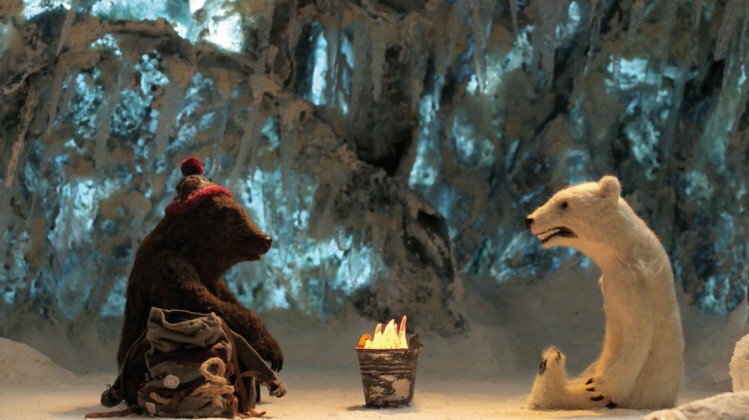 While disappointing, it's not really a big surprise, as BAFTA have yet to recognise a Cartoon Saloon Film in the category. In the Best British Animated Short, the nominations are Have Heart by Will Anderson, Mamoon by Ben Steer and Poles Apart by Paloma Baeza and Ser En Low. Elsewhere, Paddington 2 (which stars an animated character in the lead role) scored three nominations including Outstanding British Film and Best Adapted Screenplay. The British Academy Film Awards take place on Sunday 18 February at the Royal Albert Hall, London, and will be broadcast in the UK on BBC One.